Gulf-Front Condo - Great Sunsets! Beach-front, One Bedroom, Non-Smoking Condo. Screened Lanai for Great Sunsets. Two Heated Pools, Ten Har-Tru Tennis Courts on Premises. Full Kitchen, Cookware and Utensils. All Linens are Provided. Tile floor throughout the condo. Step Across the Street to Bonita Beach or Take a Short Drive to Naples, or Take the Trolley from Your Front Door to Fort Myers Beach! There is a large parking lot for all renters. Full size refrigerator/freezer with ice maker, oven, stove, microwave, dishwasher & disposal. Fully stocked with dishes and utensils. Dinette in the kitchen area. 10 Tru Har tennis courts, free to renters. The condo was clean and comfortable. Everything we needed was there. The location was perfect for walking to the beach and a couple of local restaurants. The beach chairs and coolers really came in handy for a day at the beach. Everything you need plus tennis! Monica's place was very close to all the conveniences, but just a short walk away from the beautiful Gulf. Bonita Beach is very nice and we enjoyed a daily walk on the beach, tennis in the club's beautifully maintained Har Tru courts where you can pick up a round robin every morning at 7:30 ( except Sundays) for no charge, or do one of the 3-4 clinics that were offered with a pro. There's also pickleball, bocce and shuffleboard. There are 2 pools and numerous clean, modern grills around the property to use. The property is very well maintained and Monica's place is the closest building to the beach with a sunset right outside on the balcony. She has everything you need, even some starter items (TP, paper towels, coffee,sugar, beach chairs and toys, she has lots of cookware if you don't want to go out. 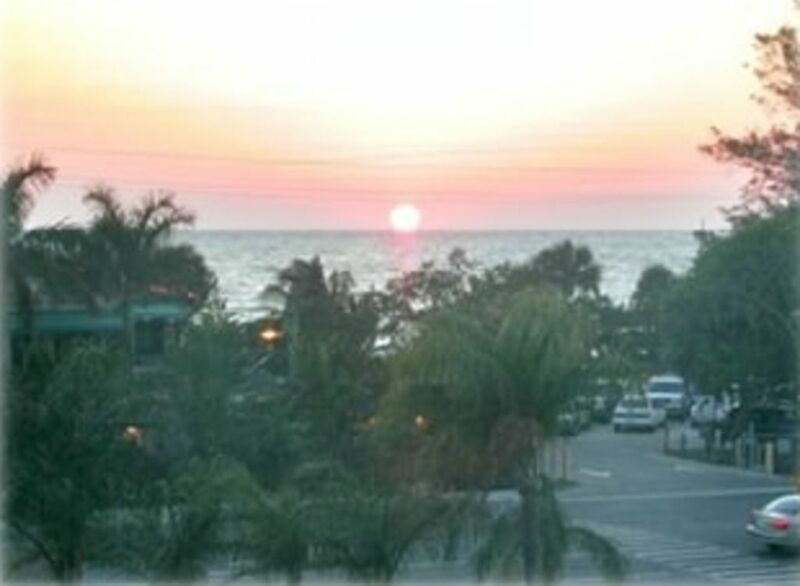 Bonita Beach area has lots to offer without the crowds of Ft.Myers or the expense of Naples. Also, Denise does an outstanding cleaning job! I visited Bonita Springs for a short get-a-way. Stayed at Monica's condo. It was very clean and very comfortable. All of the creature features that make a vacation feel like home. Beach chairs, extra pillows, candies and even a poinsettia! Rent a jet ski or go para sailing at the beach. Or go for a stroll on the beach at Barefoot Beach.